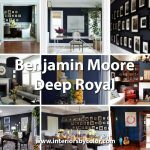 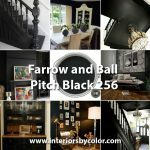 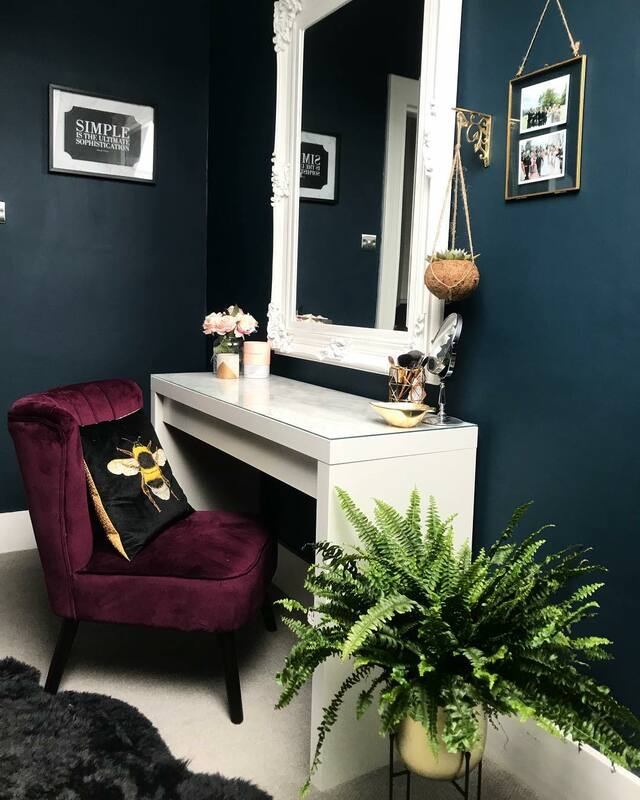 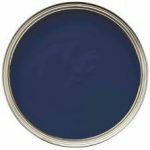 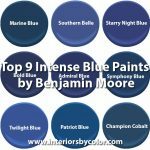 "A deep dark blue - This strong blue takes its name from the fantastically coloured woodwork much used by the Dutch, and still works wonderfully to ground skirtings or as an accent colour on the walls when teamed with Borrowed Light. 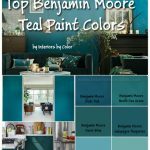 The green undertones of this timeless, deep and dramatic blue means it sits as happily outside as it does in small dark rooms." 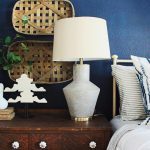 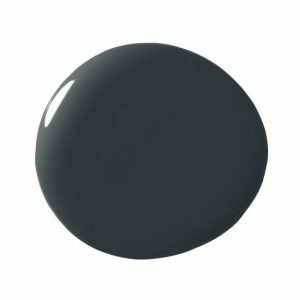 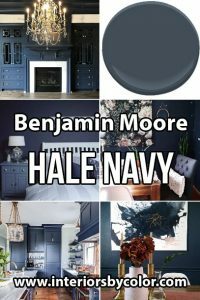 A chameleon navy blue paint color, the actual color that comes through depends on the direction of light and other colors it has been combined with. 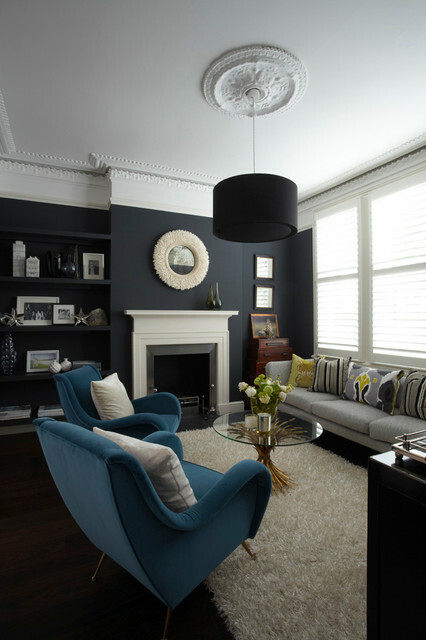 Contemporary formal living room in London with blue walls painted in Hague Blue and a contrasting fireplace painted in white. 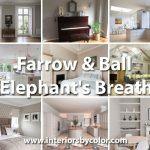 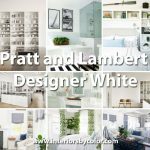 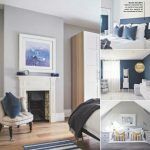 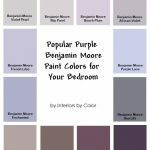 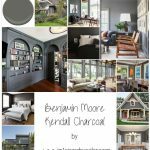 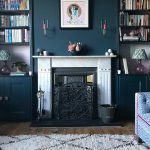 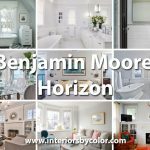 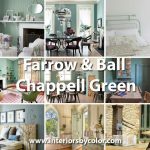 Blue is giving grey a run for its money The trend for slate grey walls is swerving round the colour wheel slightly as deep blue gains popularity. 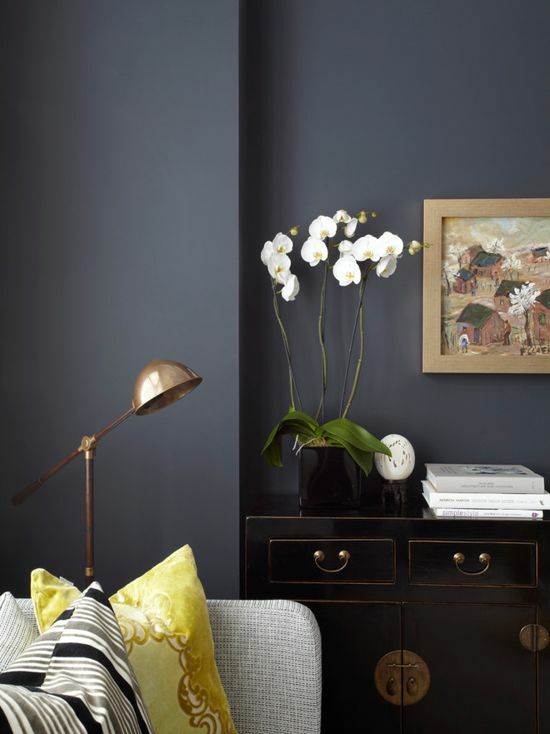 These inky walls make a bold statement that provide a dramatic backdrop for the midcentury-style furniture, and also highlight that gorgeously curated open shelving. 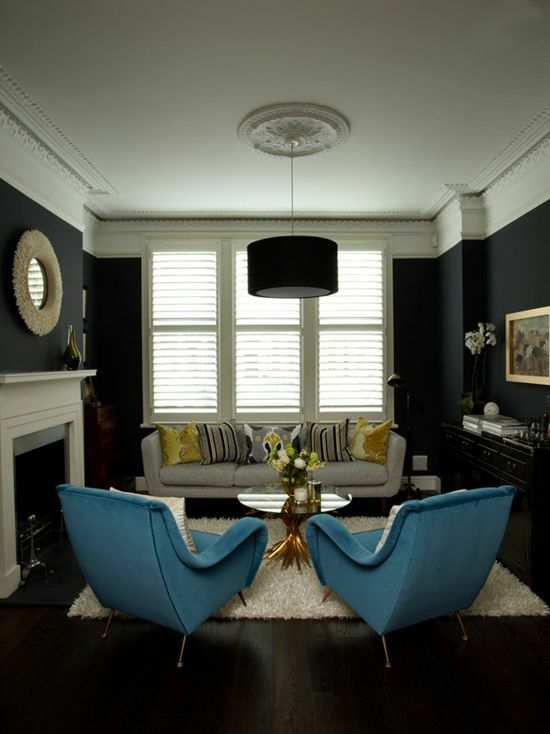 Via Chantel Elshout Design Consultancy. 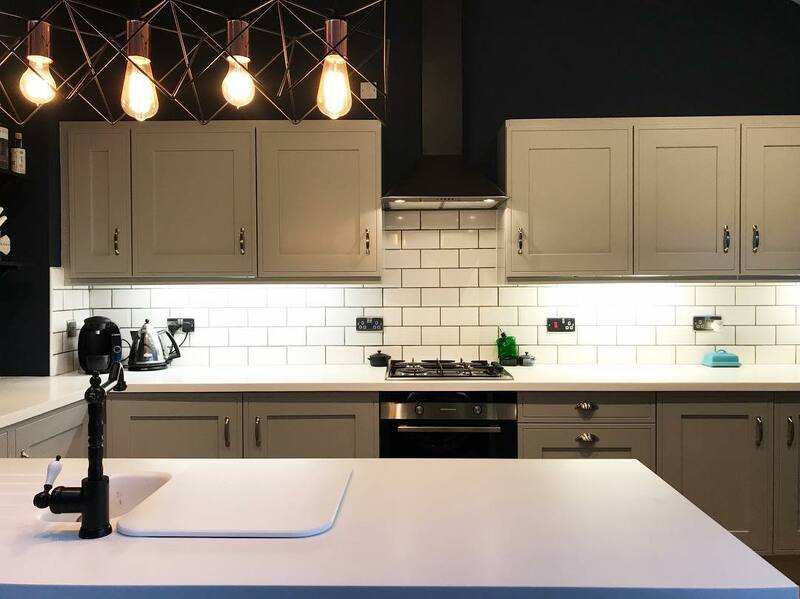 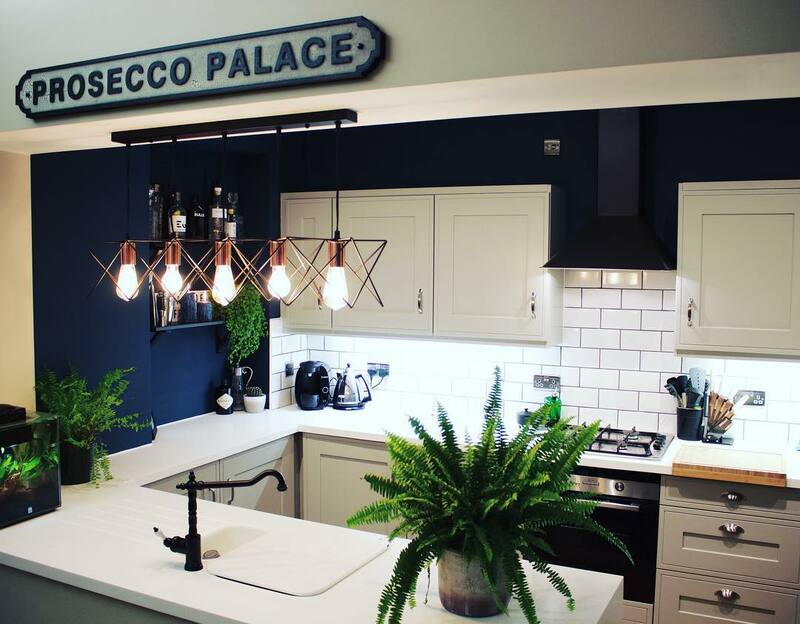 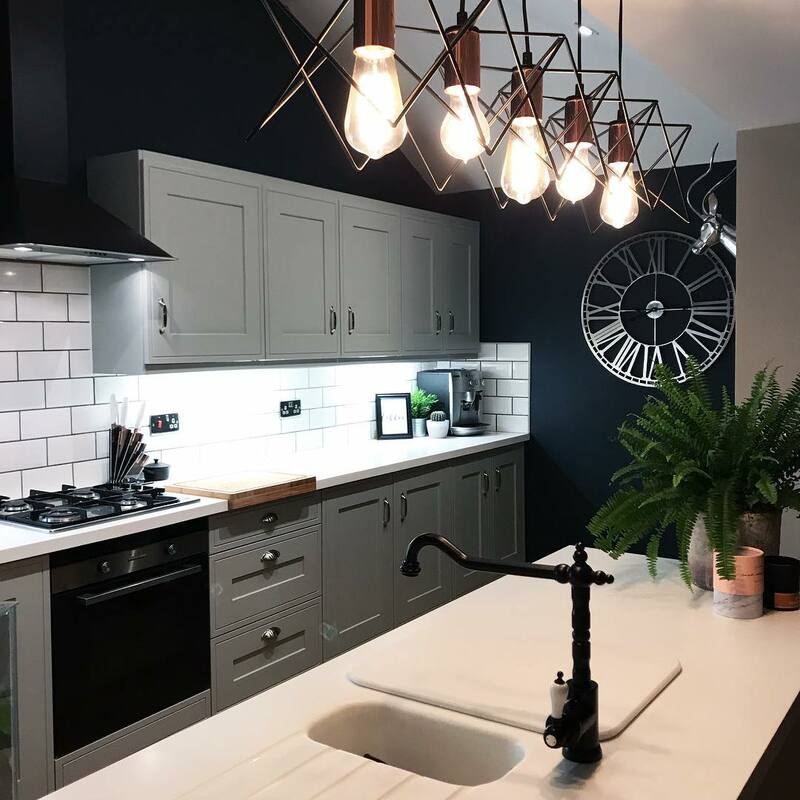 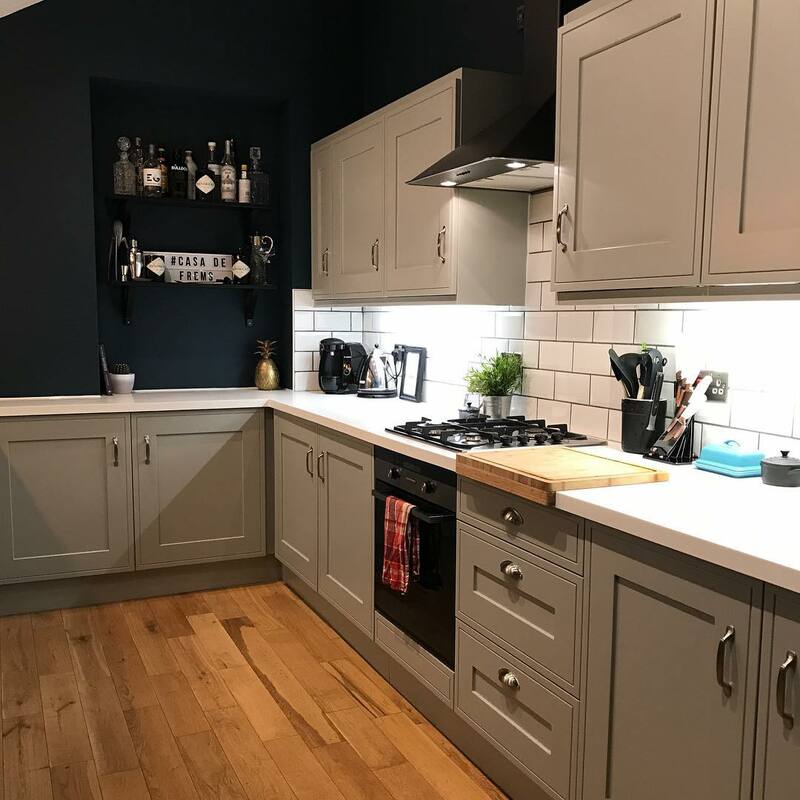 Modern country style and industrial chic kitchen with walls painted in Farrow & Ball Hague Blue. 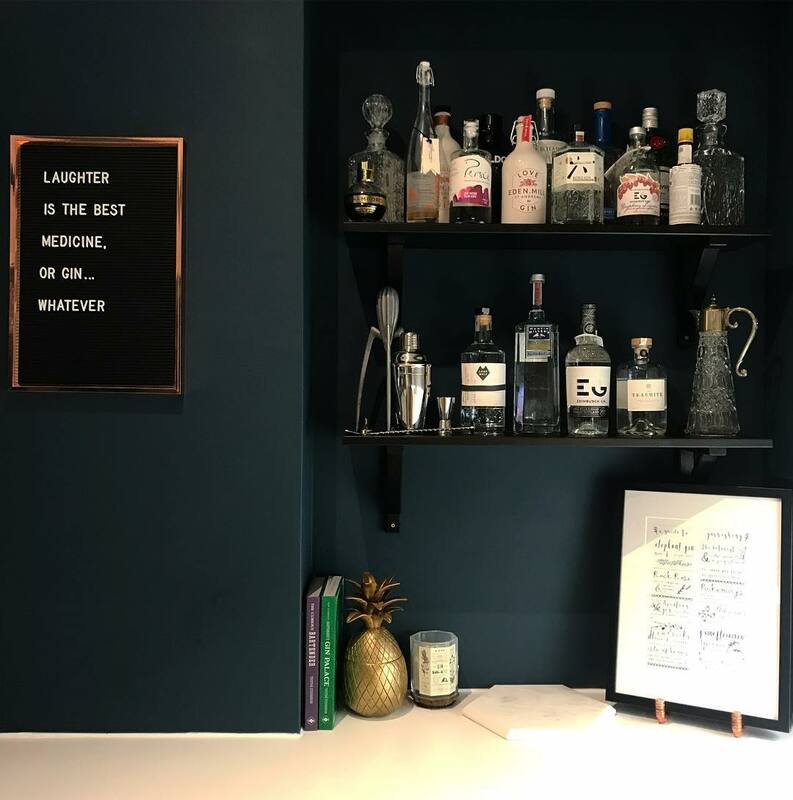 Via Callwey. 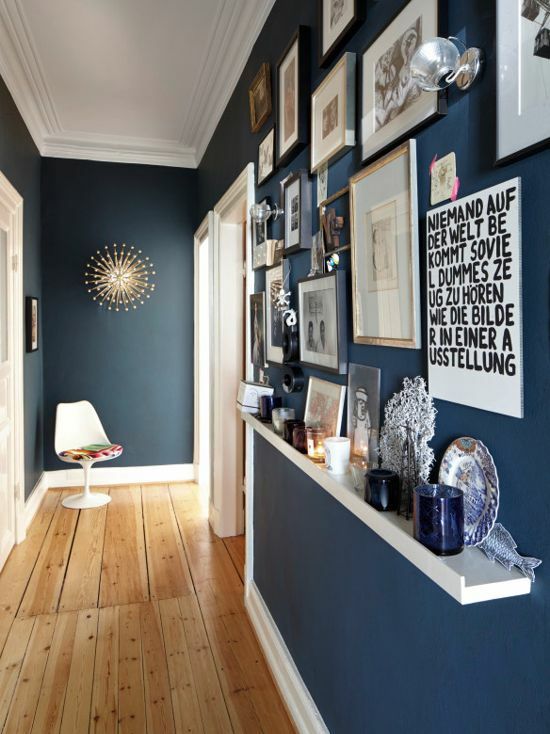 Hague Blue is also extended to the hallway. 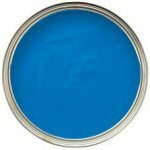 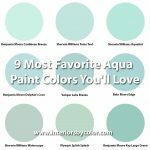 They used Hague blue for the kitchen walls too! 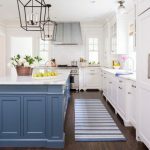 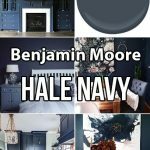 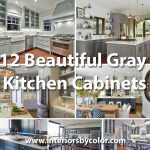 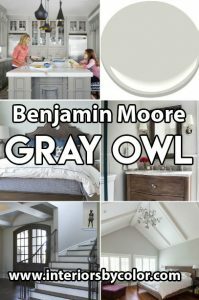 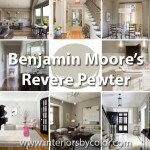 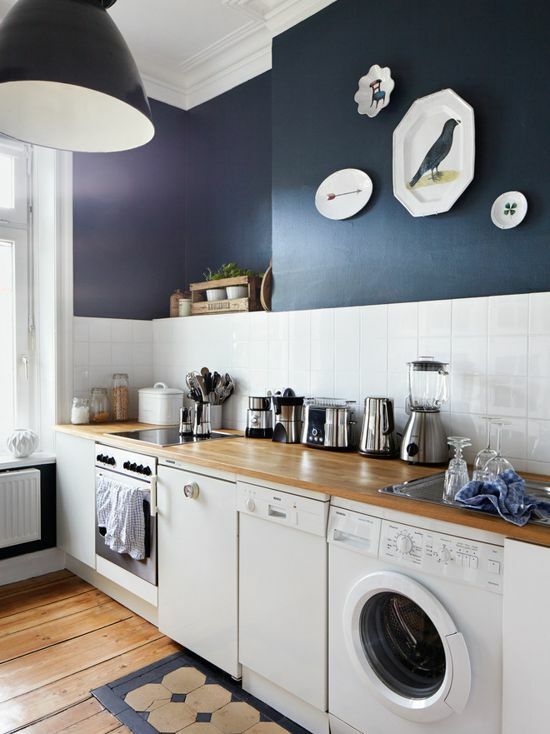 Love the white benchtops and gray shaker cabinets, goes well with this navy paint.